For over thirty years, Humminbird has been part of American’s lives and one of the favorite fishfinders of many. Humminbird is the top modernizer of Side Imaging technology which provides difference among recreational and professional anglers. The Humminbird, which is located in a modern facility in Eufaula, Alabama, is a brand manufactured by the Marine Electronics Group of Johnson Outdoors. 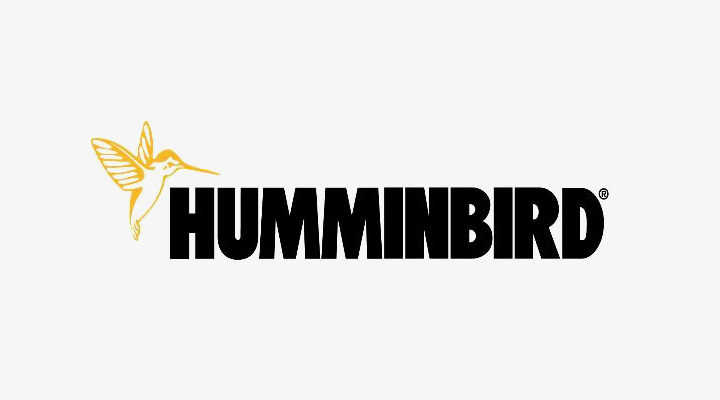 Humminbird designs, and manufactures sonar and electronic items principally for the consumer market. This company is the one who introduced Humminbird fishfinders, GPS systems, depth sounders, marine radios to anglers. In fact, many of the exciting innovative products and features that are widely utilized nowadays are creations of Humminbird. Humminbird introduced the smart technology and forward-looking items for anglers and their families to enjoy during their getaways and fishing adventures. 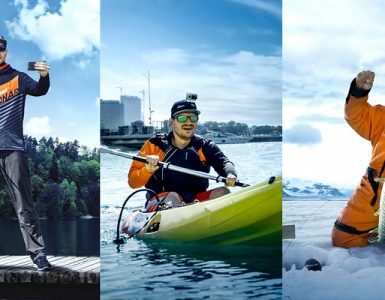 Humminbird products are accessible all the way through a wide array of retail stores in the USA and Canada and also accessible globally in over a hundred countries through local dealers and distributors. 1. What Type Of Fisher Are You? 5. Do You Own A Boat? Humminbird Helix 9 is equipped with amazing technologies including switch fire sonar, down imaging and side imaging. It is designed including dual card slots, which enhances the productivity of the task performed by the fish finder. Humminbird Helix 9 comes with a built-in Auto Chart Live feature, which allows you to customize your own map. Humminbird Helix 9 produces an image in high quality with the resolution of 800 x 480 pixels. Humminbird Helix 9 allows you to build your own maps, apart from the ones that are already registered with the device. High-quality output produced enhances the performance of this fish finder. You can have access to both the down imaging and side imaging. Works efficiently in fresh water, in muddy water the performance gets degraded. Humminbird Helix 5 DI; The combination of sonar facilities with dual beam allows a wider coverage for the device. You can conveniently switch between the wide and narrow beams for advanced fishing options. The availability of RMS electronic energy allows Humminbird Helix 5 DI to come up with clear and high-quality image output. Cover the distance from multiple angles, this enhances your fishing experience and allows you to produce maximum output. Humminbird Helix 5 DI is equipped with an internal GPS antenna, which detects your present position and also informs you about the speed in which you are proceeding. Humminbird Helix 5 DI, offers better features at lowest possible prices. Humminbird Helix 5, Reflects image in high resolution, which makes the sight more clear and understandable. Helix 5 comes with a plastic gimbal mount, which is too easy to install. Equipped with GPS technologically, that allows you to access the map which keeps you intact touch with the locations. The depth limit to which this fish finder would work in 200 feet, below which the device wouldn’t mark the fishes well. This may not get the maximum cartography benefits, where for enhanced services you will have to invest in an advanced device version. Maps of European waters are not included, which brings another negative point with the device. Humminbird Ice 35 triple color display flasher – this is made out of the latest technology in fiber optics, thus allowing for easier analysis of collected data. It has zooming capabilities that are highly adjustable, thus making it possible to see a clear section view of a water column. The shuttle mount is fitted with gimbal bracket. This is an important question you need to ask yourself before you make any purchase. Do you fish for fun? Usually people fish for different reasons. There are those who make fishing a business and fish for commercial purposes. Some fish because it is a hobby while others just go fishing to have a great day out with their family. Where do you fit among the three? Once you know what type of fisher you are, you can then go ahead and make a decision on the right type of Humminbird fishfinder. For those who fish for commercial purposes, it is good to go for a more complicated type that will enable you locate as much fish as possible. 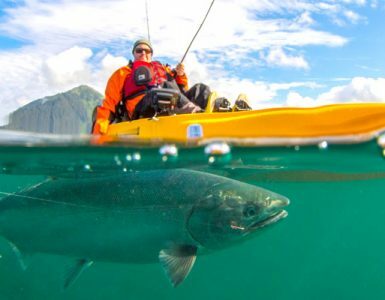 Small scale fishing does not require a detailed fish finder. Get yourself a small Humminbird which is easily affordable. If fishing is a hobby to you, then a Humminbird that will allow you move through different lakes will be a great choice for you. Get a type that you will be able to store with easy and portable enough to carry on your back pack. Most of this small and portable fish finders work well in small lakes and rivers that are relatively stable. If you live near a river that flows with speed and there are lots of windy, then you have to get a Humminbird that works without much disturbance from the winds. 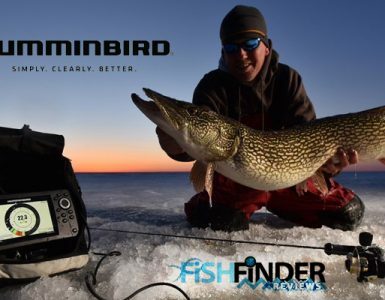 All our reviews have clearly indicated where each Humminbird works best. If you live in the city or somewhere there are no lakes or rivers, you will probably have to travel from time to time to go fishing. You don’t want something that will be filling the space of your boot. Get fish finder that will be easy to carry around with easy. Depth underwater: How far deep can the humminbird detect fish. Humminbirds which detect fish deep down the waters are the best as they offer you greater chance of capturing more fish. But then if you live near a lake or river with shallow water depths there is no need to go for the expensive type that detects great heights. A simple humminbird detecting something like 240 feet will work well. Screen displays: You need to be able to clearly observe what is under the water on the screen. Screens that have a higher resolution are much better as they give clear details of what has been observed under the sea. Some displays maybe hard to read on a sunny day out limiting people to only go out for fishing in the evening or morning hours. You need a fishfinder that does not limit you whenever time you want to go fishing. Source of power supply: They can run on power from AA batteries, alkaline rechargeable batteries and sometimes from electricity from generators. Look for a humminbird that consumes energy efficiently so that you don’t have to be replacing or charging your batteries from time to time. You can try out the fish finder and see how long it runs on its own without replacing or recharging the batteries. Price is another great factor to consider in these tough economic times. You don’t have to just buy something expensive because you have the money. The notion that the price of something is related to hoe effective it works does not always work. Look for a Humminbird that gives you true value for your money. Don’t go too way far for the most expensive Humminbird if you’re just fishing for fun. Those who fish for commercial value can go for the expensive ones as they are assured of getting returns after selling their capture. You must consider this so that you don’t have to be hiring a boat all the time. If you have no boat it is good to buy yourself a Humminbird that works offshore effectively. Some of these humminbird work onshore and offshore. A fish finder that works onshore and offshore can be a great choice. You can always go fishing offshore if you don’t have the cash to hire a boat. Float tube are sometimes used but do not fit all types of humminbird. If you do use a float tube most of the tie then you can go for one which will allow you to use a float tube. Whenever most of these fish finders detect fish, the alarm goes off producing some sound that will enable the user to know there is fish. The alarms should be louder enough so that one can hear the sound even when on high speeds. When the boat is on high speed, it will splash water and there will be much noise. You can personally ask to listen to the alarm sound before committing yourself to buy. This way you will not miss any chance of fish bypassing you. It is my hope the few tips above will enable you make the right decision and buy what will work perfectly for you. A portable fish finder will fit your lifestyle and daily routines well. Remember the main aim of buying this fish finder is to help you locate the exact position of fish so that you’re aided in setting up the bait. Thanks a lot for your time and dedication to read through our comprehensive review. Guess you have seen our reviews and seen all the best hummingbird electronics in the market today. Probably you are still undecided on best fish finder to buy. They are all great hummingbird but then you cannot buy all. Just consider your needs and only buy the one that appeals most. Fishing is a great activity to engage yourself in whatever the reason for your fishing. If you have ever fished before you probably know how it feels to go home empty handed especially if you took your children with you. Any of the Humminbird above makes it easier for you to capture fish as they help you locate the exact location of fish making it easy to set your bait. It will be great fun knowing where the fish is before you set your bait. The Humminbird above are among the best fish finder and been positively rated. You can be assured your buying the best that currently exists in the market. I can strongly recommend you to buy one of this and be assured of having the best of times when it comes to fishing. If you have never tried fishing because of the fear of not capturing anything it is time you made the right choice and buys these fish finders. Your fishing experience will completely change and you will find yourself becoming a more regular fisher enabling you spend your free time much better. Allow us to bring you the fishing experience to your doorstep and leave your enjoying the best fishing moments of your lifetime.